Every state has different home study requirements. Whether you choose to adopt domestically or internationally, a home study is required for everyone going through the process of adoption. The home study is important because it helps the adoption agency, attorneys, court, the state, and foreign countries learn about your family and assess your home to ensure the child’s safety. 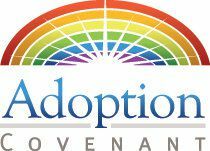 Adoption Covenant is a licensed adoption agency in the state of Texas and we provide home study services statewide. Because we are licensed, we must follow the Minimum Standards and Guidelines for Child-Placing Agencies in Texas. You may be asking, "What is a home study?" The homestudy process can be overwhelming and time consuming. However, Adoption Covenant can make it easier and faster. We have social workers all over the state and we will expedite your homestudy whether you are adopting with Adoption Covenant or another agency. We provide homestudies throughout the State of Texas. Often we can complete your homestudy within two to three weeks after you have submitted all of your paperwork. We will even help you determine where to obtain vital records. Our fees are competitive with those of agencies which may be located closer to you. We understand that every day of delay is a day that a precious child is separated from his or her new family. You can download the home study packet here. For more information regarding the process or to schedule an appointment for a domestic or international home study, please contact us at 806-741-0268.